lover of all things Disney. I say this because I’m also a telecommuter—more specifically I’m a digital nomad. I’m travelling the United States while working from my laptop. 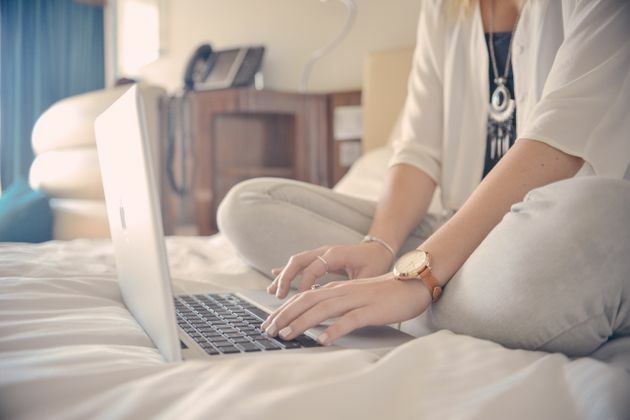 The freedom this lifestyle affords is clearly paying massive dividends, but is the work from home trend going to continue in the years to come? So, if it benefits the business, the worker, and the environment, that’s why I believe that this trend isn’t just going to continue, it’s going to explode. This isn’t even taking productivity into account. My commute every morning consists of a walk to my microwave to make coffee. Two hours are easily saved every single day. I don’t dress up. I don’t drive in traffic to work. I sit at my desk and work five minutes after waking up. The report states that the regular population of work-from-home employees who aren’t self-employed has grown 105 percent since 2005. About 2.8 percent of the workforce works from home, and 50 percent of the workforce has a job that allows for them to work from home at least part time. That’s a lot of opportunity if you asked me. Let me give you an example. I work from home for a company that has no office. They don’t pay for rent, overhead, or office supplies. We all call into a number in the morning and chat for thirty minutes about what our schedule looks like. I haven’t met anyone from my team, yet we all have fun talking on the phone. If this can happen successfully, then it can be duplicated. The work from home trend is going to continue. It just makes too much sense environmentally and economically. The reason why it hasn’t caught on is because our society hasn’t taken a second to look around and think about it.